Topps, the global leaders in trading cards and collectibles is excited to launch its 2019 Topps Swap & Play Tour, hosting a series of free-to-attend, football-themed events filled with family fun, games and giveaways! Events are free-to-attend, open from 10:30am to 3:30pm and will offer children and their families fun-filled footy events, once in a lifetime opportunities, plus the chance to WIN a host of Topps prizes! 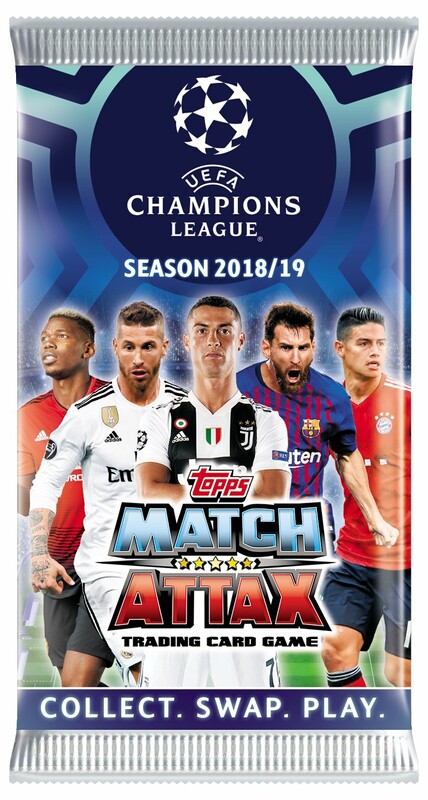 As part of the Topps Swap & Play Tour there will be tons of great activities to get involved in, including the famous Match Attax 2019 World Championships and the Beat the Master Tournament, where collectors can win Exclusive cards! Plus, meet Dan Magness, Football Freestyle World Champion who will be on hand all day, performing shows and teaching tricks! Collectors will also be able to complete their Match Attax binders and sticker books at the popular Swap Shop, where fans can swap and share their Match Attax cards, Premier League and UEFA Champions League sticker collections, with the chance to get their hands on rare Limited Editions. As an extra incentive, those who register their attendance for the Topps Swap & Play Tour beforehand will receive an Exclusive Limited Edition Leroy Sane Bronze Match Attax Card when they arrive at the free event. Don’t miss out on this amazing, FREE day! *You do not have to register to attend the event in Manchester or Dublin. Registration is only needed to receive the Exclusive Limited Edition Card. Please note, you do have to register for London (See below). MANCHESTER: The Manchester leg of the Topps Swap & Play tour will take place on Monday 8th April 2019 in the Legends Suite, Etihad Stadium, Etihad Campus, Manchester, M11 3FF. DUBLIN: The Dublin leg of the Topps Swap & Play Tour will take place on Saturday 6th April 2019 at RDS, Hall 3, Serpentine Hall, Anglesea Road, Ballsbridge, Dublin 3. You can also register on the day but to save you queuing at entry please complete the form before the event. Customers who pre-register their attendance for the Topps Swap & Play Tour beforehand will receive an Exclusive Limited Edition Leroy Sane Bronze Match Attax Card when they arrive at the free event. • We strongly advise customers not to bring bags of any type into the stadium. If you do bring a bag you will need to have it searched. • The bag policy is not flexible and it is likely you will be refused entry if you bring any bags that do meet the above standard. • No food or drink will be allowed to taken into the stadium. • Inside the stadium will be a wide range of delicious food and drink options to purchase. This press release was distributed by ResponseSource Press Release Wire on behalf of Playtime PR in the following categories: Children & Teenagers, Men's Interest, Leisure & Hobbies, Sport, for more information visit https://pressreleasewire.responsesource.com/about.